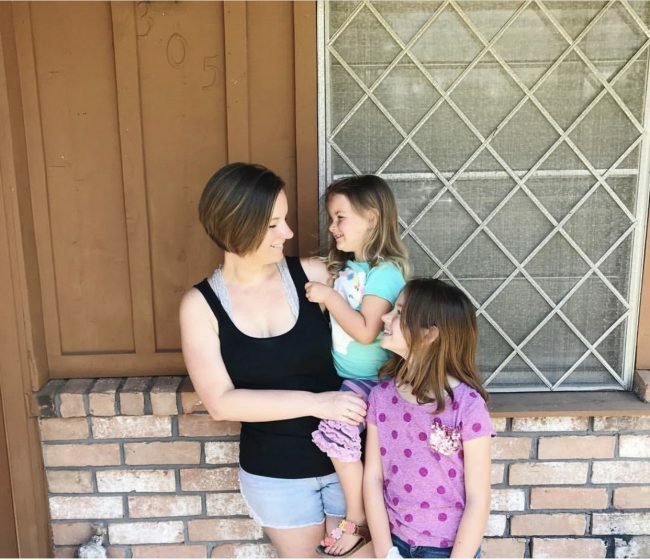 I have a confession to make: I’m a mediocre mom (at best), and I’m not even ashamed to admit it. 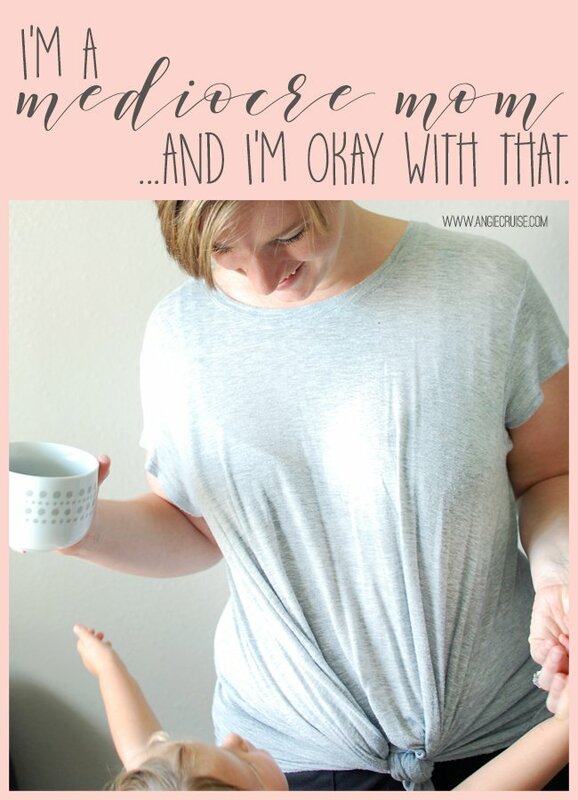 There is so much pressure in today’s society for moms to be perfect. Between social media and Pinterest, we are constantly bombarded with how other moms just do it better than we do. It’s easy to get wrapped up in this spirit of competition and try to be the best mom out there, but as moms, we really shouldn’t be competing. We’re all women, and we’re all doing the best we can. I have mad respect for those moms who spend months planning the perfect party. Did you teach your kid to recite the state capitols in alphabetical order by Kindergarten? That’s amazing! But, it’s hard work. And, quite frankly, I don’t feel like working that hard. I’ve tried to be that mom. It didn’t work out so well for me. Being “the best” makes me feel suffocated, stressed out, and like a failure. It’s just not who I am, and I’m done trying to make it work. 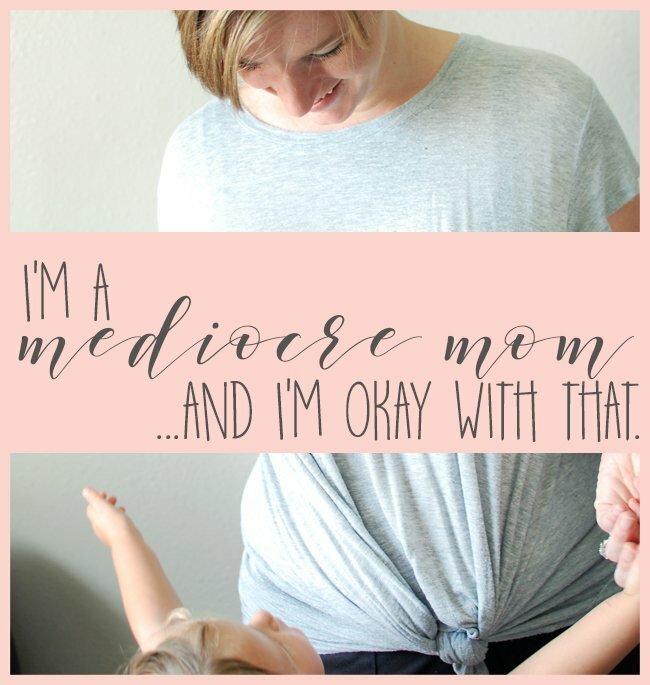 It’s time to accept that I’m a mediocre mom. I’m okay with it, too. Anyway, isn’t that the real point? Our kids don’t need the perfect mom, or the best mom. They need a present mom. I can vouch for being those things, at least most of the time. I’m not perfect though, and never will be. Have you felt the mom-guilt over this as well? It’s time for us to stop striving for perfection in other people’s eyes, and just focus on ways that we can be perfect for our own children. That will look different to everyone. In the spirit of embracing this imperfection, here is a list of ways that I’m not perfect. doesn’t keep trinkets: the artwork, school projects, etc…yeah. That’s all in the trash. I kept it for awhile. And then, my mom handed all of my own childhood stuff to me and I realized I didn’t care about it. Not even a little bit. Why did she save it all these years? dislikes bedtime. I rush it, even though I know I shouldn’t. I’ve stopped reading stories in bed, and my youngest gets one quick song before lights out. My oldest gets a hug and a goodnight from the couch. lets my kids watch TV. In fact, I look forward to TV time because I get a break. 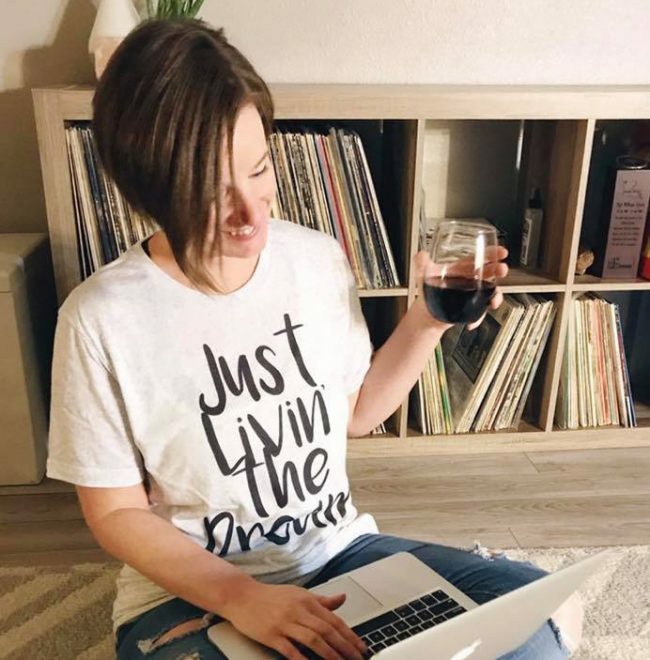 drinks wine: It’s how I unwind, and I’m not ashamed of it. sleeps in on the weekends: Yep. My kids know not not to bother me on Saturday morning. Ideally, until 9.
isn’t super strict on bedtime. As long as their quiet in their rooms by the time I’m ready to crash, I don’t really care. Just don’t be cranky tomorrow when you’re tired. has a potty mouth. Everyone else is apparently making up silly words to use instead of “grown up words.” Meanwhile, I unapologetically swear in front of my kids. is late. All the time. To the point where my kids feel the need to point out when we’re actually on time for something. yells at her kids. I mean, c’mon. Sometimes I think they won’t be happy until they get me to lose my cool. Anyone else notice that? doesn’t do the dishes before bed. I’m tired by the time dinner is done. I’ll get to the dishes later. leaves clean laundry piles on the couch. They’re clean. It counts. But being a mediocre mom is okay. I’m not ashamed to admit it at all. 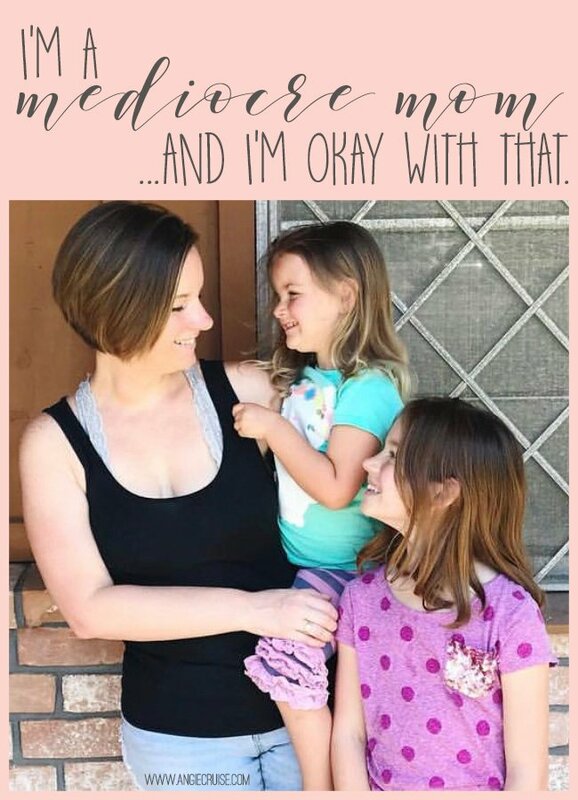 In fact, all of those things are reasons other moms might judge me, but the only opinions that really matter are that of my kids. As long as they think I’m an awesome mom, that’s all that matters. And, so while I may be mediocre at a lot of things other moms rock at, I’m also the mom who attends every single extra curricular activity of my kids. I’m the mom who plans fun field trips and art projects. There’s a respectably healthy meal on the table every single night. Most of them are even cooked by me! There are a lot of things that make me mediocre, but for all of those things, there’s another way I rock this whole motherhood thing. I love being a mom, mediocre or not. Moms, Stop Settling for Being Tired all the Time!